Hoegh Burial Container Shells may not be as beautiful as the pet caskets, but they are the answer to an inexpensive burial unit. Each unit offers non-deteriorating plastic and an air and water tight seal. 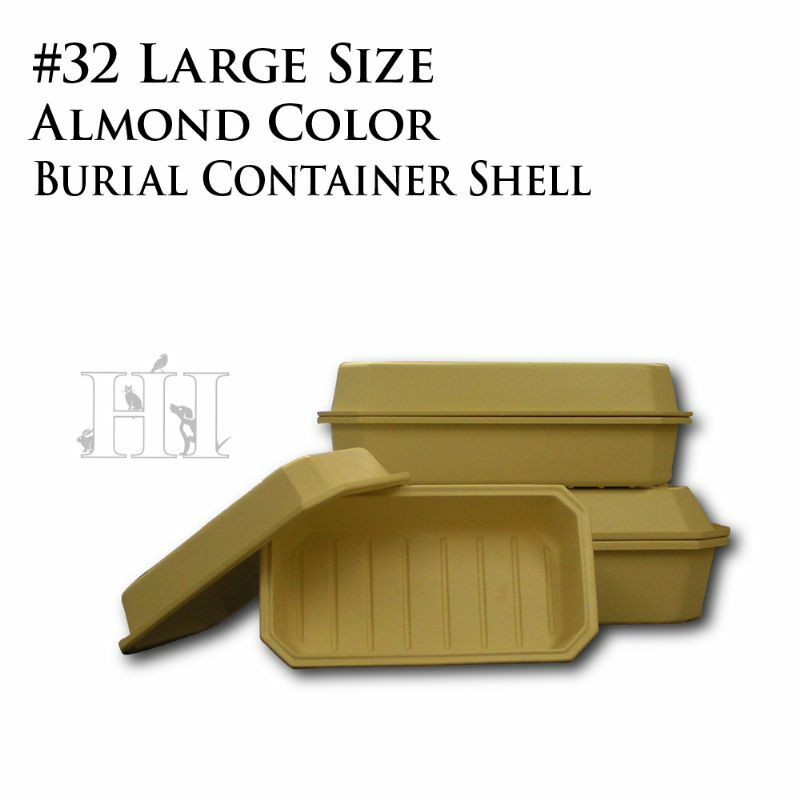 All Hoegh Burial Containers are available in the almond color only. We are pet people, and we know how difficult the passing of a pet is. We just want to make this difficult time a bit easier for you and your family. Below is a list of species of animals and/or breeds of dogs that this particular cat or dog caskets may fit well. This list is a generalization for your assistance; please measure your individual pet for best animal casket fit.